It was useful. I overflowed it almost immediately, of course, but it definitely helped keep everything in order and manageable. 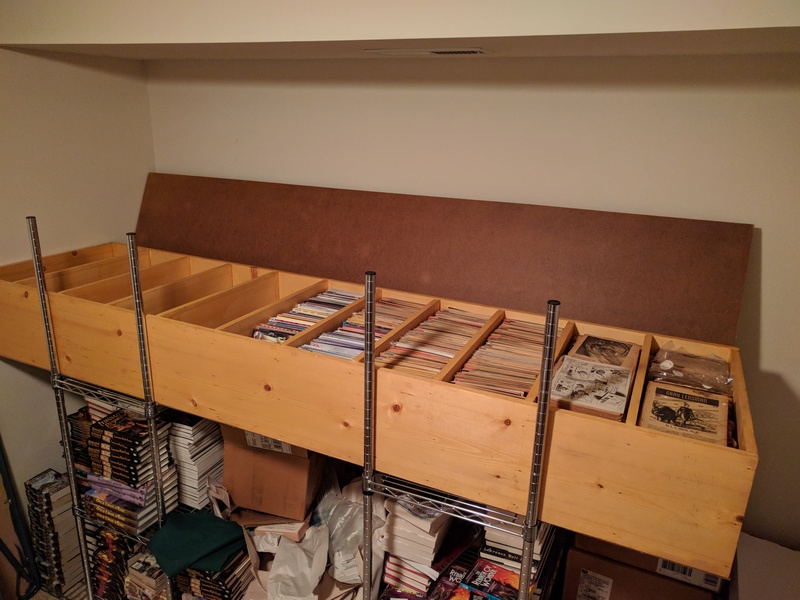 In 2009 we moved from Gaithersburg to Takoma Park, and I sold off 12,000 of my 14,000 comics, and once again the box could hold most (but not all) of my collection. It was equivalent, I eventually figured out, to about nine standard long boxes. Then this year, 2018, we started preparing to move again, but this time we’re going across the continent instead of across Montgomery County, and we expect to wind up in a much smaller home. So I had to prune the collection again, and sold off four long boxes, and trashed a few that were seriously damaged. That actually got us to the point where I could fit all my comic books in the box and even have a little space left (maybe half a slot). But it also brought up the question of what to do with the box. Taking it with us didn’t seem very practical. Julie didn’t even want to consider keeping it, and I had to admit she had a point. So I started talking to people I thought might be able to use it. My local comics shop didn’t want it; they already had enough storage. They asked a few customers, but no one was interested. We talked to some neighbors, but got no takers. It was just too big and awkward for most comic collectors. But I had an inspiration. If I stood it on end, it could be a bookcase! The only problem was that it would be eight feet tall, and since most people have eight-foot ceilings, or less, that was an issue. But then I had what I think was a really clever idea. 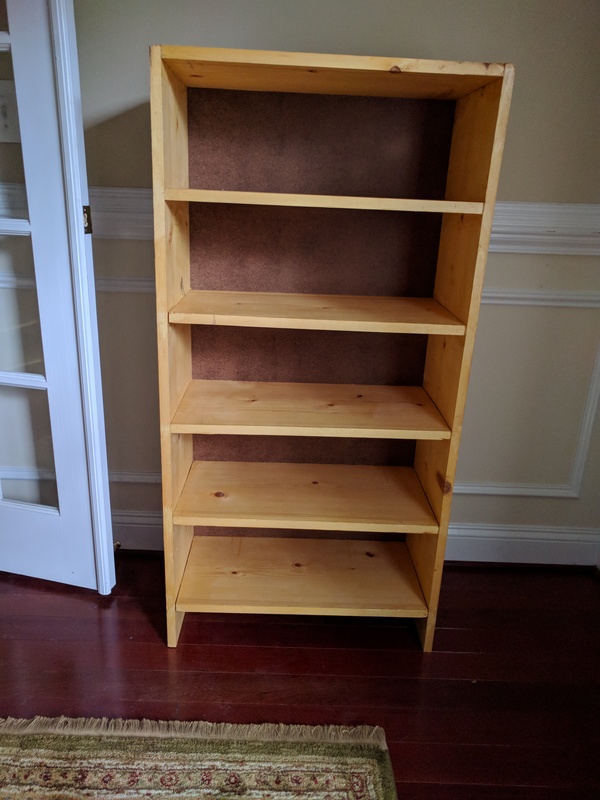 I cut it in half, and had two four-foot bookcases, with shelves exactly the right height for paperbacks. See? Of course, they’re kind of deep, but that just means you can shelve books two rows deep and still have a little room in front for knicknacks. 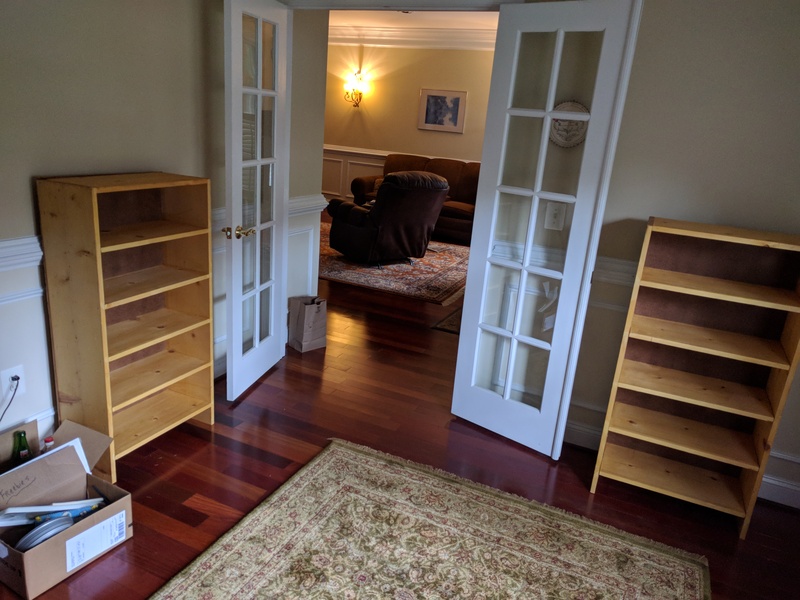 Now that it’s a pair of fairly normal bookcases, it’s much easier to re-home. If we don’t find anyone who wants them, we can just donate them as if they were ordinary furniture. Problem solved! And my comics are (at least for now) back in standard boxes, ready to be shipped to the west coast. Posted on October 7, 2018 by Lawrence Watt-Evans in Generalities & Rants, Strange Days. Having moved comic books a few times, just a reminder: if your comics are not individually bagged, wrap large trashbags around the boxes of comic books (like a tarp) in case the moving truck leaks. I lost the best part of my collection, once, because I didn’t take that precaution.